Dr. Flynn is a graduate of the University of Minnesota College of Veterinary Medicine. She primarily cares for dogs, cats, and their families in the Veterinary Medical Center. 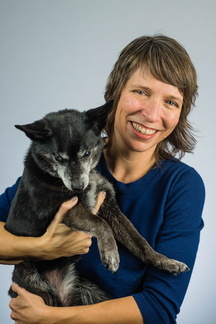 Dr. Flynn is passionate about preventative care; behavior, including the implementation of low-stress handling techniques in the clinic; veterinary dentistry; and nutritional management, particularly the prevention of obesity. Working with students provides an opportunity to share her enthusiasm for these important topics as well as learn something new every day.